228 pages | 2 B/W Illus. The Open Access version of this book, available at https://doi.org/10.4324/9781315692623, has been made available under a Creative Commons Attribution-Non Commercial-No Derivatives 4.0 license. Maria do Mar Pereira's work is a compelling and timely feminist ethnography of academic life that explores processes of academic valuation—how do academics determine what constitutes "proper" knowledge? 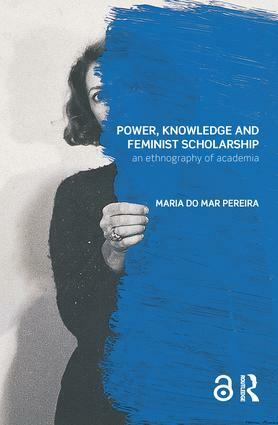 Pereira turns particular attention to women's, gender, and feminist studies' scholarship and asks how work produced in the field gets imagined as proper knowledge—or as improper knowledge—and how this status is shaped by the institutionalization of the field, the corporatization of the university, the increased precarity of the academic job market, and the dictates of the "performative university" which promises scholars in the field recognition and legibility so long as they comply with the demands of productivity and hierarchy that mark the new university. Pereira's book is essential reading for feminist scholars invested in understanding the place of the field in the university, and interested in exploring how the university and its dictates and demands has shaped feminist knowledge production. This is a brilliant and original book, brimming with ideas, insights and integrity. Maria do Mar Pereira has given us both a nuanced engagement with contemporary Women's, Gender and Feminist Studies, and a compelling ethnography of academia as it becomes disfigured by brutal regimes of performativity. Her intelligence and intellectual generosity shine through on every page. A hugely important contribution. The book describes a fascinating, longitudinal, ethnographic study rich in detail about feminist scholars' perceptions, work tensions and feelings, as well as accurately describing the complex and contradictory values and epistemic conditions in which contemporary gender studies exists in the academy. The discussion about the extent to which 21st century academics work in circumstances that both legitimate long hours and over-production of outputs will be of great interest to anyone trying to understand how modern universities operate. This eminently accessible and important study should also be compulsory reading for all university senior managers. The book is an important contribution to the literature on knowledge production, pulling into sharp focus the ways in which "challenging questions about power, inequality, and the production of legitimate knowledge" occur simultaneously and cooperatively through the local and the global, the everyday and the abstract, and the institutional and the disciplinary. Eloquently written and deftly argued, Pereira's book is essential reading on the comparative and global contexts of contemporary university scholarship - and the impact of power and inequality not only on the types of knowledge claims which can be made, but on the emotional and physical wellbeing of the scholars in these institutions. Power, Knowledge and Feminist Scholarship is a valuable contribution to the growing body of literature on how to stand up against the performative university. This book distinguishes itself from the typical laments and diagnostics by asking brave—and even uncomfortable—questions about the consequences of our own actions and inactions as WGFS scholars. Maria do Mar Pereira's brilliant new book provides a novel vantage point from which to consider the epistemological dimensions of such everyday scenes in the life of a feminist academic. Maria do Mar Pereira is Assistant Professor in Sociology at the University of Warwick (UK) and Deputy Director of Warwick’s Centre for the Study of Women and Gender.